At the law office of Cowden & Humphrey Co. LPA in Cleveland, Ohio, we are fully prepared to help you with all of the important legal aspects that affect your business so that you can focus on running and expanding your company. As we are all business people ourselves, we understand the unique struggles and challenges you are likely facing getting your business off the ground as well as ensuring you comply with all applicable laws and regulations and positioning your company competitively in today's dynamic market. Backed by our law firm's decades of combined experience, we can provide the value-added counsel and service you need, and our law firm serves a diverse range of businesses in a variety of industries throughout northeastern Ohio, across the country and around the world. 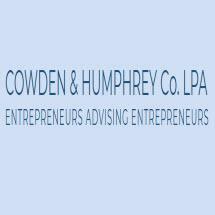 To find out more about all we offer and how we can best serve your company's needs, we invite you to contact Cowden & Humphrey Co. LPA by phone or email to schedule a consultation regarding your matter.